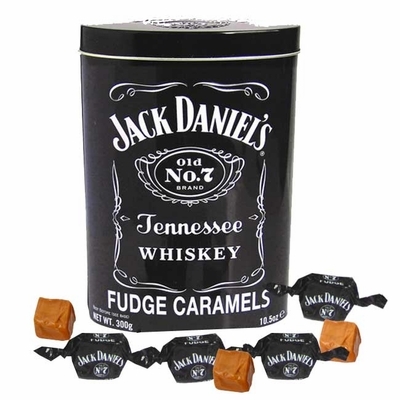 Jack Daniel's Whiskey Fudge Caramels. 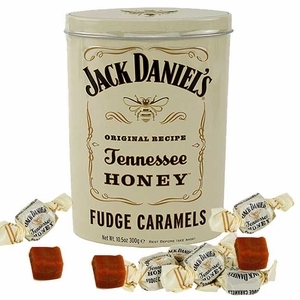 This is a decorative tin filled with about 25 wrapped caramels. Yes there is even a little Jack Daniel's Whiskey in the caramels. Made in Scotland by the Gardiners company.